Cathy is a Lecturer in Biosciences in the School of Life and Health Sciences at Aston University, UK. Her research aims to understand the molecular and cellular mechanisms that govern how an animal ages using the fruit fly, Drosophila melanogaster, as a model system. 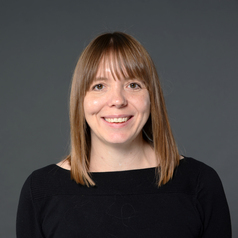 Previously, Cathy worked as senior postdoctoral researcher with Dame Professor Linda Partridge at the Institute of Healthy Ageing, University College London, studying the role of the highly conserved insulin/IGF-1 signalling pathway in ageing. Her research has been widely published and in recognition of her achievements within her field, Cathy was the 2015 recipient of the British Society for Research on Ageing’s Korenchevsky Award, made to a society member who has made an original contribution to ageing research of sufficient significance for the society to sponsor wider dissemination of these findings among the scientific community.